Today marks the start of the BlueMind Summit, which aims to explore how neuroscience informs our connection to our biosphere and inspire people to live in ways more friendly to the ocean. 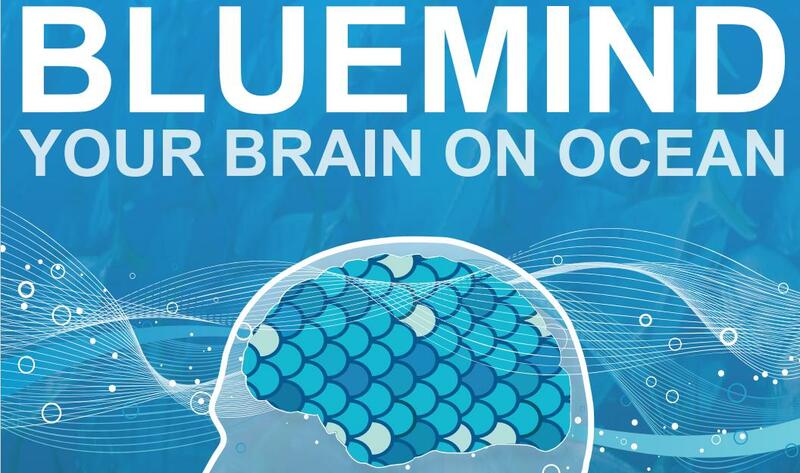 Participants in the BLUEMIND Summit include top neuroscientists, ocean experts, artists, teachers, big wave surfers and big thinkers. The ocean imparts a trillion-dollar premium on hotel rooms, condos, houses and all other forms of coastal real estate. Canadian actor Michael J. Fox famously quit television right after spending a few hours blissfully following a sea turtle gliding through the blue Caribbean sea. “Never once after my encounter with the sea turtle have I wavered in my conviction that it was the right thing for me to do and the right time for me to do it,” he wrote. The poet Robinson Jeffers found language in the rhythm and drone of ocean waves and the meditative act of rolling boulders up from the sea to build his stone home. “The beauty of things was born before eyes and sufficient to itself; the heartbreaking beauty will remain when there is no heart to break for it,” he wrote. The summit will cover two themes: “The Human Brain and the Biosphere” and “Oceanophilia: The MInd-Ocean Connection”. The desired outcome is a new network of ocean-lovers and scientists, and media and education programs based on the summit’s findings and shared through the network. I’m fascinated by this stuff because my connection with the ocean has deeply affected me. And yet, I didn’t really “discover” the ocean until I was in my early 20s as a burnt out international development worker in Central America. I took up diving in Utila, Honduras as a diversion the stresses of working in mass grave exhumations in Guatemala. And under the water, I found an immense peace. Later, as I was drafted into a hurricane response team, all I could think was that I’d return to the waves once things were cleaned up. I returned to Utila in January 1, 2006 and started my divemaster training at Alton’s Diveshop. Soon enough, I was completely hooked. So hooked, in fact, that I knew I would have to make the oceans central to my life from then on. Several years later, I finally found a way to make that a reality with a masters from Johns Hopkins SAIS and a job in ocean conservation. All in all, I hope this summit has success, though I have my doubts based on their PR work up to the point. Their information page is rather scattered, thus requiring a bit of effort on the part of the reader to understand what they’ll be doing at the summit. I also wonder how much neuroscience can tell us at this point; in my view, the wonders of neuroscience haven’t yet been realized in economics, and surely there is much more research going on there. I will be watching eagerly.